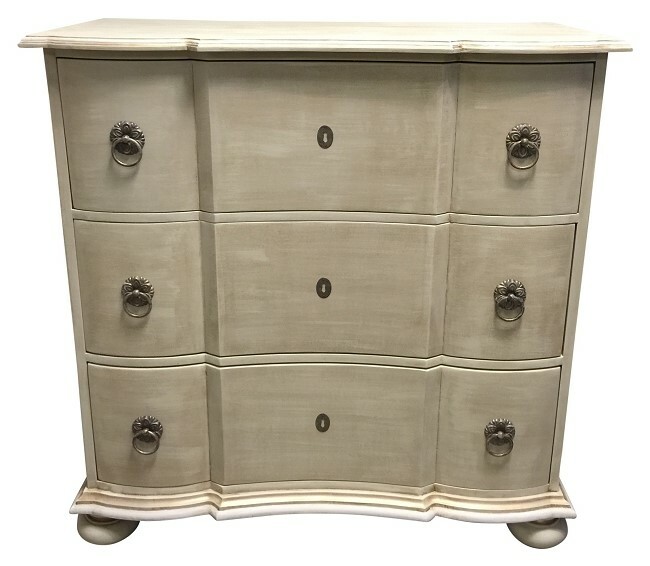 The Scalloped Chest is a classic style over-sized chest that commands one's attention. You will love the deep drawers which offers great storage. Custom made for you from 100% wood, typically mahogany. Features dove-tailed, self-closing full extension under mount drawer glides. 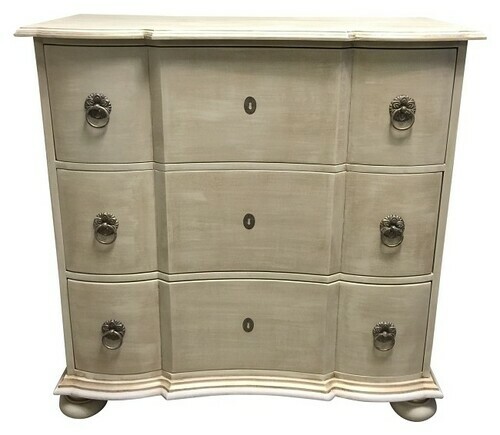 Measures 44"W x 44"H x 20"D and shown here in Sandstone with Antique White and Gold Accents. Custom made in 14 weeks. Custom made for you. Not eligible for return or exchange. Please view our return policy for more information. Ships via white glove delivery in 1-3 weeks.